Fall is definitely on its way. One of the attributes of fall is the various scents, from fallen leaves to baked apples to cooked pumpkin. 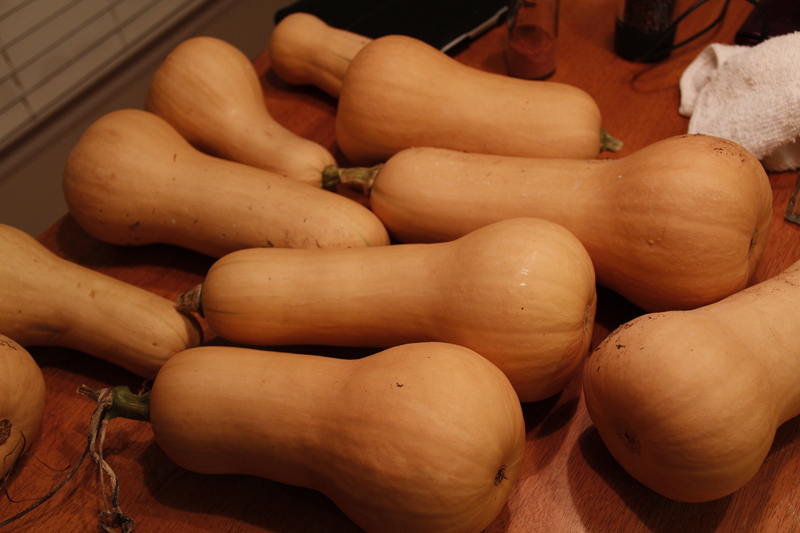 Or in the case of my garden, winter squash. I started harvesting them several weeks ago. They need to cure for 7 to 10 days before cooking, and tonight was the night to try them out. 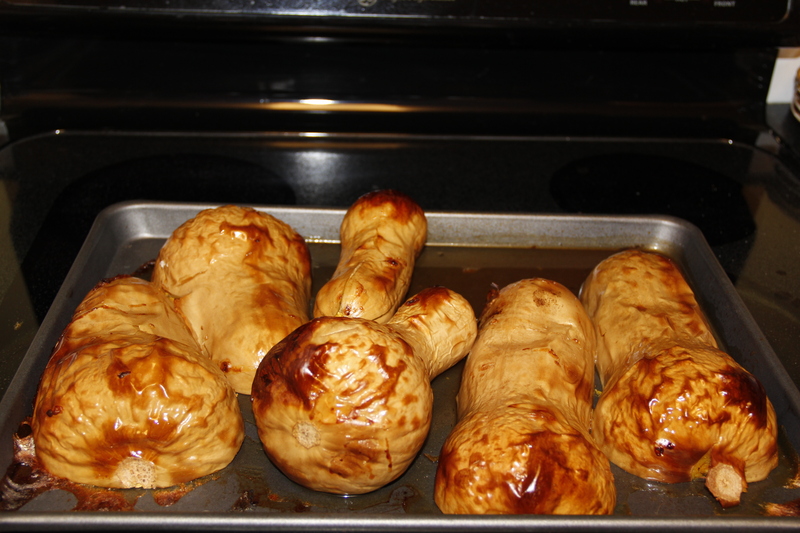 They were delicious and the house smells of fall tonight. Word for tomorrow – CONVINCING. If you prefer to work ahead, see the list for the week under “A Word A Day”. Perfect timing on this post. I just bought a squash, and am ashamed to say I’ve never cooked one before. Help. How do you do it? I’m sorry that I didn’t get back to you sooner. I rinse them and poke them with a fork. Cook at 400 degrees for about 30 minutes, then turn over. Cook about another 20 minutes, cut in half and finish cooking (15 to 30 minutes more). It’s easier to cut them when they’re partially cook, but they cook better if they’re cut in half. If you want to know more, send me a note (at work would be best for now). It was. Best of all since we grew it ourself, we knew there were no pesticides and just the single dose of fungicide long before we cut them. Thanks! For all my frustration with the garden, these did turn out great.